Congratulations! You are entering the most incredible journey of your life. You might be feeling excited, impatient and euphoric. You may also be feeling nervous, anxious and overwhelmed. All of these feelings are 100% normal! You are about to go through an enormous life change, both physically and emotionally. The postpartum period is a sensitive time, full of ups and downs. Learning to care for a human being that is 100% dependent on you with very little sleep, little hands on training and limited support is what most mothers are facing these days. 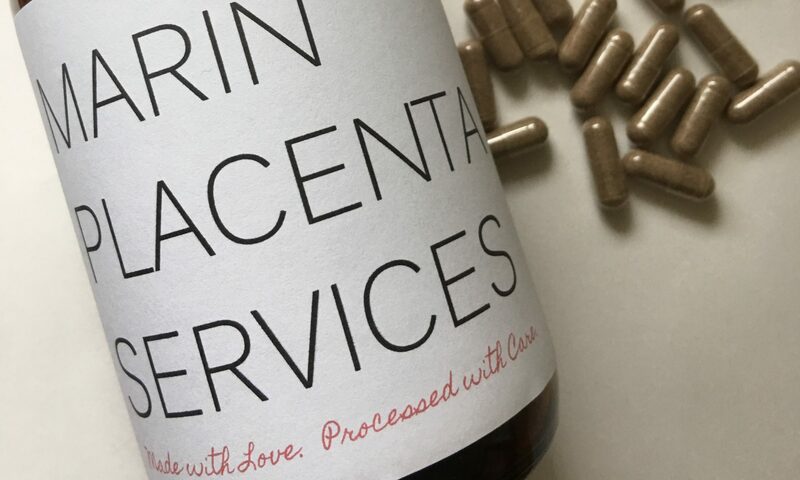 If you haven’t heard of placenta encapsulation yet, let me introduce you to an easy and quick option that can help support you during the postpartum period. Women who have encapsulated their placentas have reported much less postpartum depression than other women. Some women who have suffered from postpartum depression have specifically had their placentas encapsulated in future pregnancies to avoid it — successfully. Although I have always been fascinated with reproductive health, pregnancy and childbirth my passion really blossomed when I became pregnant with my son. I could not satisfy my craving to learn more about my body, baby and options. After the birth of my first child, I formed Marin’s first “alternative” mother’s group to fill my need for community. Not only did it fill my need, but it filled the needs of hundreds of women across Marin and Sonoma. What started as a few new mom’s in my home turned into a virtual community of hundreds of local families. I developed a passion for the early phases of motherhood and felt a strong calling to support other women in the birth and postpartum period. In 2011, I certified with DTI as a birth and post-partum Doula and also began processing placentas. Each placenta is completely unique and beautiful in its own way. Placenta encapsulation is such a simple and sweet way to nourish a new mother during those very vulnerable first few weeks after birth. Over the past several years I have processed hundreds of placentas and developed a niche in postpartum and overnight care. Providing specialized support in those early months has been incredibly rewarding. I recommend talking to your primary care provider prior to the birth about the placenta and include it in your birth plan. Put a copy of your birth plan in your hospital bag. After you have paid for your products, I will get in touch with you. Please keep a cooler in your car! Hospitals do not allow the placenta to remain in the birthing room (biohazard). You will also need to store the placenta in the cooler on ice if your delivery is in the late night hours. I will pick up in the morning. gone into labor (regardless of time). They should keep me updated throughout the labor as well. I will pick up the placenta from the hospital, curb-side. Or your support person and I can make arrangements. I will drop off the pills, curb-side to the hospital or to your home within 48 hours. Fees for placenta services need to be collected ahead of time via Venmo, check or cash. Please reach out if you have already delivered, often times I am able to accommodate last minute requests. Refunds on processed pills are not available. Please make sure you understand all areas of the Instructions and FAQ pages before purchasing. If you are HepB or HIV positive, please let me know ahead of time. If you do not hear from me within two business days, please Contact Me.